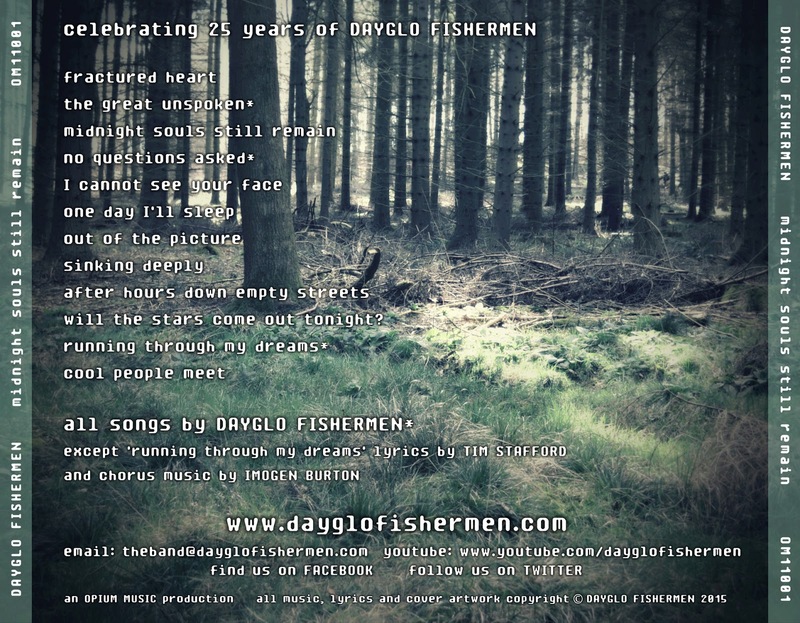 After a five and a half year wait, the immense patience of Dayglo Fishermen fans was finally rewarded in October 2015 with the release of the band's new studio album. 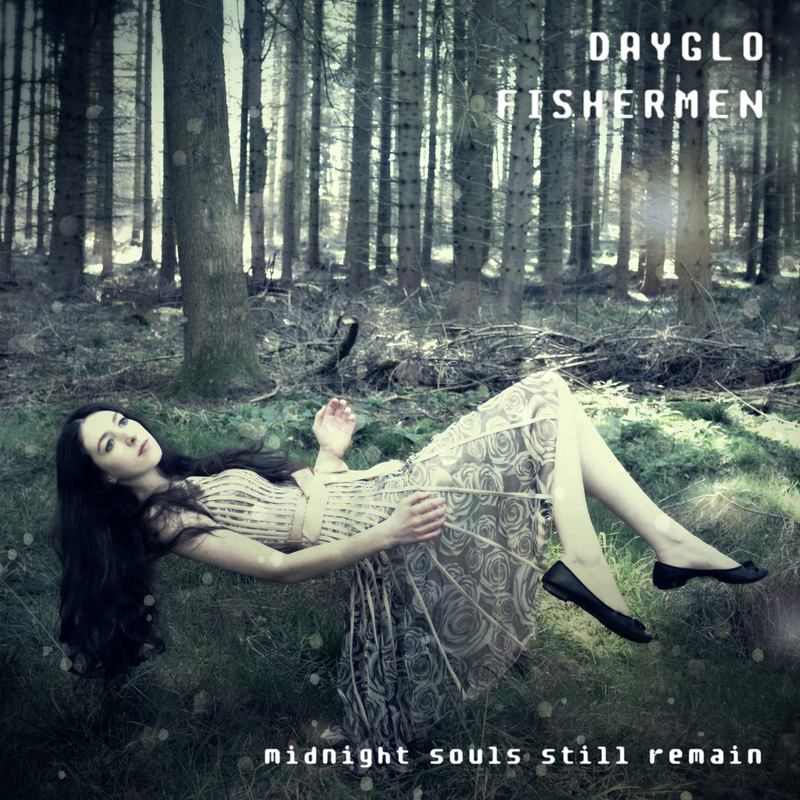 Titled 'Midnight Souls Still Remain', the album's 12 tracks have already firmly embedded themselves as part of Dayglo Fishermen's immense back catalogue. That's all well and good, but are any of them destined to become classics? A crash of thunder and a two minute rainstorm herald the start of the album, something only a seasoned and established band could get away with. After an aching guitar strains to break through the storm we hear the welcome tones of a slow base rhythm. As a distant police siren appears the song's main section thumps to life. It's a rousing piece of work, and features what is probably the best keyboard solo on the album. According to the production notes, as well as being the first track Fractured Heart was the first song written for the new album way back in 2010. The notes also show that the original intention was to have the rainstorm intro as a separate track, allowing listeners to easily skip it if preferred. Bravely (and thankfully) that idea was dropped. The stormy introduction works well, and is essential to guide the listener into the right mood to feel the full benefit of the song that follows. A short and powerful drum roll shocks the listener into the high-tempo sound of the second track, immediately followed by a rapid synth arpeggio. 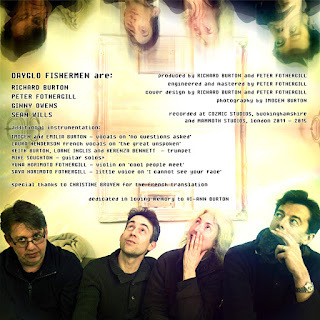 The song seems to build and build, before dropping right back to a relaxing interlude, complete with spoken french vocals - a tradition now on Dayglo Fishermen albums. Such tranquility does not last. A guitar solo leads the song back to a crescendo of choruses, with the synth arpeggio taking the song to its conclusion. It's a wonderfully retro-sounding track, and one that would have been a chart-topping hit back in the early 1980s. The title track of the album creates a lighter and more melodic feel as its mid-tempo, off-beat bass line confidently strolls along. With sparser guitars and keyboards, and gentle piano chords filling out the chorus, the song's dreamy vocals are given the space needed to flourish. They key change for the final chorus, and the vocal leap up another octave, take the song to its final satisfying peak, before letting the core rhythm play out. One of the stand-out tracks of the album. The tempo rises once more, quite considerably in fact as according to the production notes this track has the highest tempo on the album. After a rapid bass drum and guitar intro the song bursts straight in with two vocalists who continue together for the whole track. This dual and mainly spoken vocal, combined with a frantic and almost panicky bass line and regular offbeat synth stabs, creates a strong sense of intensity, and even anxiety. Wisely this lets up for a short time in the middle section of the song, but it comes back as expected, finishing with a long rock guitar solo. Things need to slow down a bit, and the fifth track on the album obliges. The song, about missing someone that has headed off to a war they will never return from, is a melancholic theme for the band, but this is offset by the unexpected guitar style of the verses and the highly melodic synth sounds of the chorus and solo. The song finishes with more unexpected guitar that emerges from the final instrumental chorus. As the sound of distant warfare haunts the end of the track the innocence of a child singing brings us back from the brink. A memorable and poignant addition to the album. This song is brimming with paranoia, making it a match with 'Something's Watching', featured on the band's 1998 album 'Painting Aliens'. This time though the subject matter is demonic visitation within dreams. While not as horrific as alien impregnation, it is enough to bring back the feelings of anxiety aroused by the earlier track, 'No Questions Asked'. 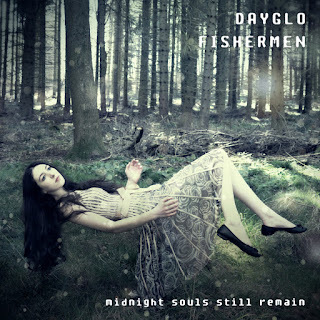 As always with Dayglo Fishermen's less positive songs there is some quirkiness to act as a counterbalance. In this case it's the vocals on the verses, which are sung in an almost country and western style. What inspired this is not mentioned in the production notes, but it was certainly the right thing to do. With tense choruses, and an even tenser keyboard solo, the track progresses without remorse. It finishes with a short verse ending with the ominous line 'One day I'll sleep, and they'll be there'. With a punchy up-tempo beat, this bass guitar and guitar heavy song lifts the mood at the album's halfway mark. Borrowing one of its chord progressions from 'Soncabaret' - one of the highlights of the 2001 album 'Comet Nerdlinger', the track cruises along, its momentum maintained by the captivating rhythm of the vocals, particularly in the verses. 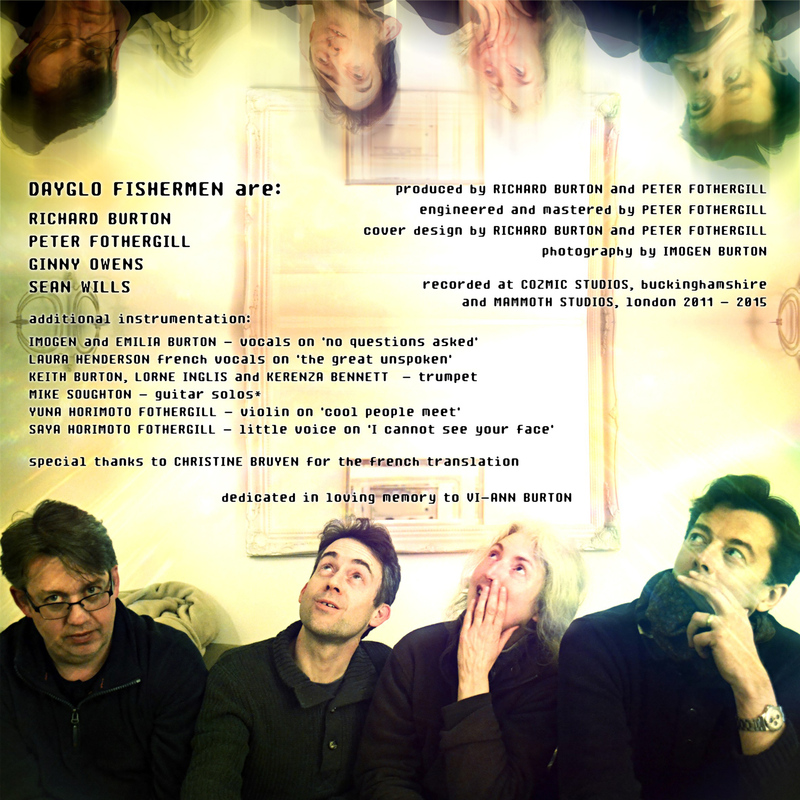 The long solo section in the song stands out as a classic Dayglo Fishermen arrangement. Starting out with a haunting violin, it moves without warning to a series of rapid trumpet bursts, and then on to a pleasantly upbeat guitar solo, a solo that soon transforms into something much more edgy during the lead up to the final chorus. 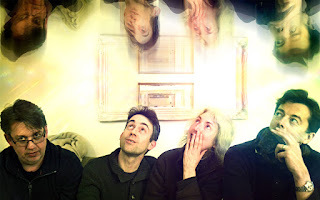 Notable for its complete lack of cymbals on the drum track, 'Sinking Deeply' was actually the second song written for the album, sometime during the autumn of 2011. With odd lyrics that at one point compare the freakiness of snow to tangy fruits, the track features some highly original synthesiser sounds and patterns that flit across the upper octaves - a great contrast to the deep and dependable bass line that stomps along far below. The guitars complement all that perfectly, chugging along in the verses and sliding through the choruses. A single deep piano note immediately draws the listener into this song. As the brooding low tones of a sustained synthetic sound develops, pulsing up and down in volume rather than pitch, a gentle high piano melody takes us on to a trumpet and then the vocals of the first verse. This is the slowest song on the album, but despite that, and the gentleness of all the instruments and voices, the track somehow possesses a power and strength above all others on the album. Remarkable. Track 10: Will the Stars Come Out Tonight? Featuring a dual vocal throughout, and also a dual bass line of guitar and keyboards, this slow melodic song creates a sense of peace and joy that's almost impossible to put into words. Every instrumental line is kept simple, allowing the vocalists the space to carry the song in a seemingly effortless manner. Its purity is almost perfect, and a fitting song to follow the gentle power of the previous track. Of course, this is still a Dayglo Fishermen song, and the signs of that are obvious. The cymbals are not acoustic samples but synthetic, quite a contrast to the natural-sounding bass and snare drums, and the odd guitar at the start of the middle section is typical of the band, yet still unexpected. This song will become a favourite for many. By far the shortest song on the album, ‘Running Through My Dreams’ is a frantic and quirky little track – an interlude of sorts before the grandness of the finale that follows. The vocals match the pace of the music, and the thickening layers of voices on the chorus, along with the alternating piano notes, gives the illusion of an ever quickening tempo, adding to the interest. There’s a lot of fun to be had here. The track’s vocal-only introduction sounds like it has a strong Gaelic influence, which doesn’t seem too unusual when you consider the band’s Northumbrian origins. With its slow tempo and folk-like melodies the song oozes power and emotion as the deep bass, spacious keyboards and mellow guitar create an epic soundscape. It’s a magnificent way to end the album, and to celebrate the band’s 25th anniversary. ‘Free Roky Erikson’, ‘Easy Projector’ and ‘Fish’ from the album ‘Drenched’ (1990). ‘Marsport’, the introductory sequence on the ‘Strange Plaice’ album (1991). ‘But Where Were the Mice?’ from the ‘And So It Is’ album (1992). ‘Love as Emotion’ from the ‘Keep to the Path’ album (1993). ‘Nag Lisa’ from the ‘Animate’ album (1993). ‘Space Dog’, the title track of the ‘Space Dog’ album (1997). ‘Underground’ and ‘Voodoo’, from the ‘Painting Aliens’ album (1998). ‘Nerdlinger One’ from the ‘Comet Nerdlinger’ album (2001). ‘My Friend’ from the ‘Queen of the Sunset City’ album (2003). ‘Screams Inside My Head’ from the ‘I Can See a Boat … It No Longer Floats’ album (2006). A final note: on the very limited edition CD version of the album tracks 1 to 6 and tracks 7 to 12 are all linked, providing an even more satisfying experience for the listener as the songs flow together. 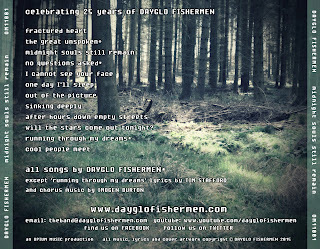 If you are not lucky enough to have a CD copy you can now download the linked versions of the songs in two parts. Just click on the links below, or go direct to the album page on the website. So, are any of the songs on the new album destined to become classics? The answer is a most definite yes.